HDI-ETF believes that education is a right and not a privilege; therefore being the child of a poor widow should not be a limitation to accessing good and quality education. Even though education is free to some extent in Lagos State, the Government cannot fully meet the educational needs of all students in the state. As a result, parents and guardians of students are unable to provide educational materials like uniform, bags, notebooks, textbooks, and sandals for their wards resulting in such children being unable to attend school. 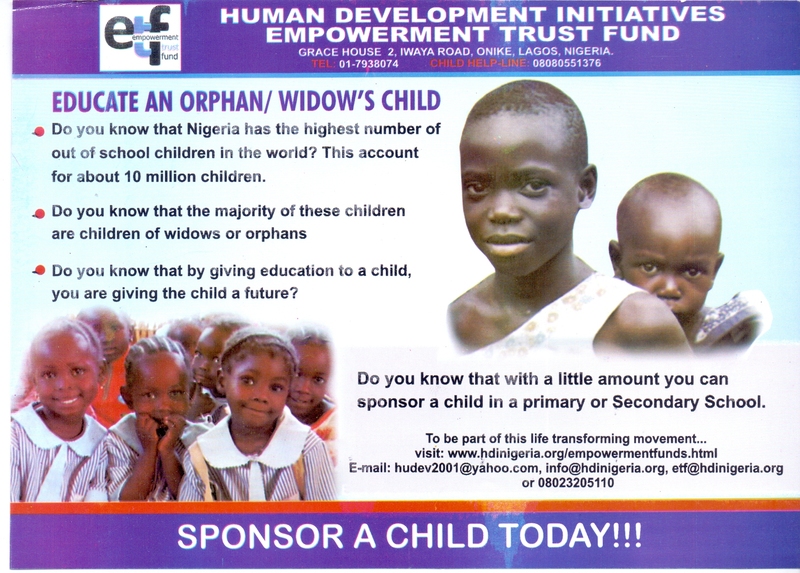 Thus, HD-ETF support the education of screened and qualified children of widows/widowers and orphan from primary school through tertiary institution based on their good behaviour and excellent academic performance. Through this project, HDI-ETF has empowered children of widows/widowers and restoring their hope of a brighter future. One hundred and ninety six (196) students, (127 female 69 males) are currently on the scheme while forty (40) students have been supported through secondary school and were registered for NECO examinations. 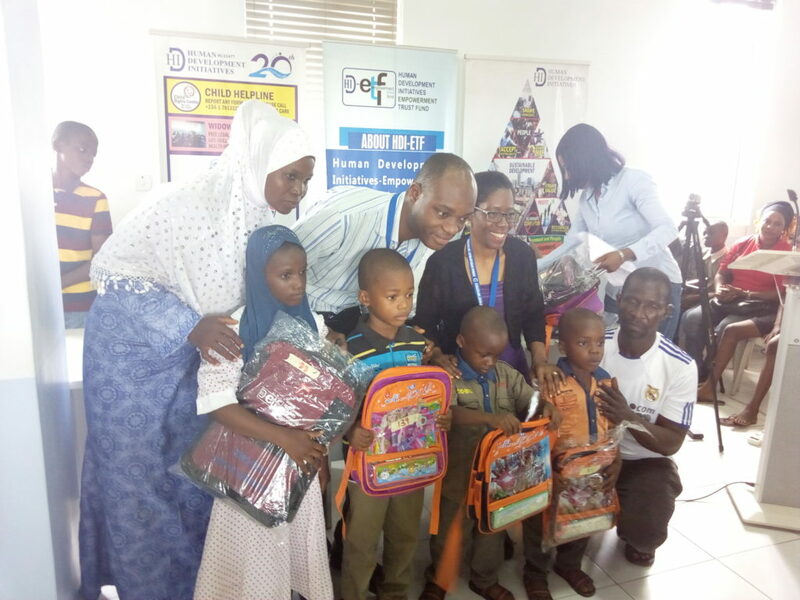 HDI-ETF helps by providing educational materials to the beneficiaries such as uniforms (ties, berets and badges), school bags, school sandals and socks, notebooks, textbooks, mathematical sets as well as payment of other Government approved fees.